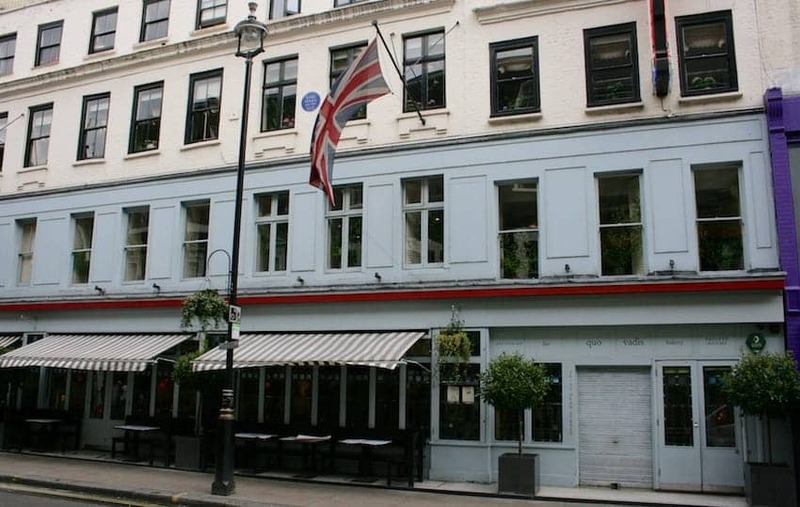 Quo Vadis has been a London dining institution for nearly a century, serving a menu of seasonal British food including pies, roasts and salads. Located in the Soho district, it attracts diners from the busy commercial, retail, arts and entertainment industries that surround it and the pre and post theatre crowd. The dining room has stained glass windows, white linen tablecloths and charming décor , creating an ambience of relaxation and refinement whether visiting for breakfast, lunch or dinner or just the bar for cocktails. There is now also a bakery on site.